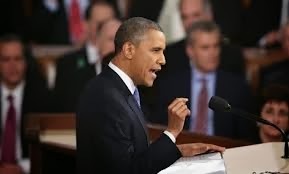 On Tuesday night, Obama gave a brilliant State of the Union address. But I can't say I appreciated what he said about education. He seems to have pivoted in his approach. Though I'm glad he is no longer assigning responsibility for low educational performance on ineffective teachers, he is now appearing to blame parents for not having high enough standards for their children or their schools. Duncan went on to exhort parents: As you think about how to use your voice, your time, and your energy, I want to pose one simple question to you: Does a child in South Korea deserve a better education than your child? If your answer is no — that no child in America deserves any less than a world-class education — then your work is cut out for you. Because right now, South Korea – and quite a few other countries – are offering students more, and demanding more, than many American districts and schools do. And the results are showing, in our kids’ learning and in their opportunities to succeed, and in staggeringly large achievement gaps in this country. No matter that according to OECD data, South Korean kids are the unhappiest in the world, and according to many studies, have high suicide rates. US parents should be just as demanding more of their kids, even if their happiness and mental health be damned. I’ve written before about Duncan’s misplaced envy of the South Korea, where 20% of the average family’s disposable income is spent on private tutoring, and even the Prime Minster has warned us against emulating their educational system. Many Korean families in fact move to the United States in order to save their children from the horrible pressures of their system. But now Duncan and the President appear to have taken this fixation even further. Good he and Arne have changed their line – at least temporarily – by saying that teachers need more support. But now they are accusing parents of not having high enough expectations. Can't we get over this blame game? Or am I being too sensitive? Below is what I wrote for Salon on what I hoped Obama would say in his speech, which sadly he did not. Please add your comments below on what you wished he’d said. Send Arne Duncan to Mars: “President Obama should start by apologizing for the recent comments of Secretary of Education Arne Duncan that parents who oppose the harsh over-testing regime that has afflicted our schools are just upset that their children aren’t smart enough. He will say he is withdrawing all federal support for the Common Core standards, exams and curriculum until they have been reassessed in a transparent manner by an independent task force of teachers, parents, early childhood experts and special education professionals, with full public input, as opposed to the secretive and incestuous way the standards were developed. I do believe that parents should have high expectations for their children, as should teachers. The problem is, high expectations need not mean more testing. There are plenty of more imaginative ways to make children work hard. I can't believe you thought the President gave an effective speech. As a teacher it was a "C-" at best. I do agree that he stopped bashing teachers and gently blamed parents but he still believes education reform with common core and high stakes testing is the answer. Teachers and school didnt get a chance here to hear the State if the Union. We were busy trying to feed, calm, locate parents for and find places for sleeping ifvthe almost 600 students stuck at school. Who ever says we are not dedicated enough,are doing this for long summers and easy schedules have not tried to keep order and a sense of adventure going wuth students stranded by the powers that be. We figure that we have to get an outstanding on atleast one of the Danielsons strands. Parent communication, calling parents into the wee hours of the next day count?!!! 4)Allow states to create their own "rigor"
As a parent, this was exactly my take on what President Obama was saying to parents, and this author has exactly my reaction to it. I am so sick and tired of our competitive education model, tiger moms, Race to the Top, high stakes testing, testing, testing. Education is NOT a race. Childhood is precious. I can encourage my children without putting the pressure on them to compete with Korea or any other country. What I see is a government blaming teachers, parents, and the education system for their own failures in providing an economy that works for all of us, not just a few.